I would like to introduce you to Smith & DeShields Building Supply. Smith & DeShields is a family-owned business offering building supplies to the trade since 1957. Four convenient locations are open to the public serving both the East and West coasts. We appreciate the importance of supplying quality products as well as maintaining dependable support throughout your entire project. We are proud to stock one of the largest and most diverse moulding inventories in Florida. We currently stock over 400 profiles. Our mouldings are available in a variety of materials such as LDF, poplar, mahogany, white pine, cypress and maple. In addition to mouldings, we also distribute exterior impact doors, interior doors, residential and commercial door hardware as well as commercial fire rated doors and frames. We welcome the opportunity to review your door and hardware schedules, including a breakdown of all building needs from crown moldings to cabinet knobs, guaranteed to suit any budget. Our huge in-stock inventory makes it easy to get the job done quickly and cost effectively. Our expert local manufacturing staff combined with onsite measurements will help you understand why we say, “Smith & DeShields is where Quality and Service Come First.” If you haven’t seen our beautiful showroom, please stop by. Enjoy a complimentary beverage and let us show you our complete selection of mouldings on display and in stock, our dazzling display of cabinet hardware, and the largest selection of door hardware all under one roof! We look forward to seeing you in one of our showrooms. We are proud to welcome our loyal customers who have honored us with the opportunity to be a part of their spectacular projects, and we are thrilled to embrace new clients. We appreciate your enthusiastic support as we fill our portfolio with innovation and beauty for the well dressed home. We are open Monday through Friday 6:30 am- 5:00 pm. and Saturdays 8:00 am until 12:00 pm. Roman Rock designs and manufactures architectural composite products made of highly customized resin formulas. Our products are reliable, woodpecker resistant, easy to install, and will add an instant touch of elegance and continuity to any home or business. Truline is an innovative and versatile vinyl sheet piling system used to build the ultimate seawall, bulkhead, lake wall, retaining wall, dock piles and more. For most applications, the patented dual-interlocking system of vinyl components are driven in the ground creating a forming system to pour-in-place steel-reinforced concrete walls or dock piles. 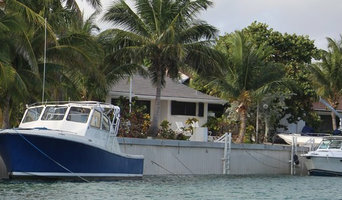 When properly designed and installed, the Truline wall or dock pile can last 75+ years. The Truline system is installed with standard installation methods and equipment and can be installed in various soil conditions, including rock. Another advantage of the Truline system is the ability to install in areas with limited space and with minimal construction impact. Truline is made of over 92% recycled content and is UV-resistant against fading. Omicron Granite & Tile is a leading brand of natural stone. At Omicron we offer the largest selection refined stones like granite , marble onyx, travertine, floor tile, sinks, faucets, tubs, vanities, water purification systems and toilets from over 73 manufacturers plus a complete line of fabrication tools and supplies. We import finest natural and man-made Caesarstone® slabs from around the world. We are authorized distributor of brands like Caesarstone, Neolith, GEOS in several branches of Florida and Harahan,Louisiana, Cleveland,Ohio and Mobile, AL. HB Mable & Granite was opened in 2004 by Denny and Fabio with nothing but the American dream and faith, which was what has pushed us to get where we are today. The goal was never to be the biggest in town, but instead to be able to provide customers with the highest quality of workmanship and stone while also keeping our products affordable. From initial customer consultation, to project planning and templating, to fabrication and installation,we achieve our goals without using any subcontractors. We listen to the needs of our clients, and based on those needs we provide the best possible results at an unbeatable price. Our service representatives will work with you to obtain all of the necessary information needed to begin your project, including the job site address, contact information, and the desired dates for the template and installation. We will provide an estimated completion and or installation date for you, and we will do our best to complete your order as quickly and efficiently as possible. Once your new counter-tops have been installed, our technicians will look for your satisfaction with the quality, fit, and condition of your counter-tops. 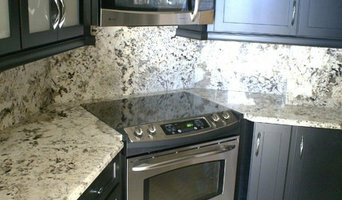 HB Marble & Granite has a commitment to manufacturing and installing the highest quality products. We specialize in enhancing residential and commercial interior spaces with natural stone, and quartz surfaces. Our unbeatable reputation can speak for itself , so come see for yourself . Quality Stones is a family owned and operated importer and wholesaler of natural stone slabs. Our showrooms and warehouses are located in Ocala, Fort-Myers, and Jacksonville. Quality Stone imports materials from 36 countries while maintaining purchasing offices in India, Brazil, and China. Our goal at Quality Stone is to offer you greater value, better selection and superior customer service. Our many years of experience make us one of the best sources in the stone supply industry. This longevity and knowledge has created solid relationships with the world's most unique quarries and access to some of the rarest and most exquisite color variations of natural stones, as well as industry standards. We guarantee our customers the highest quality and widest selection of natural stone slabs and tiles in a wide range of formats and finishes from our half a million square foot inventory. New stones are constantly becoming available and we are on the cutting edge of those arrivals, permanently expanding our offering and adapting to the changing needs and tastes of the market. At Carlson's Flooring America, we are eager to help you with all of your floor covering needs. Our certified sales staff has over 4 generations of experience to service you. Our CFI Certified Installers are second to none. With the industry's best pricing and longest warranties, we're sure to be your one stop shop for all your materials and installations! Our company Mr. Foamy is a leading manufacturer of architectural foam and precast products. Our doors have been open for over 15 years and we continue to grow while making sure we keep up with our customers standards and providing top of the line customer service. Each and every product is custom designed and manufactured exclusively to what the project entails. We can produce and endless variety of finishes, shapes, and colors of your choosing in foam with polyurethane, wood pecker proof stone over foam and even solid precast. You say you need it installed too? Great because we can do that for you and we employee top of the line craftsmen to get the job done right on time and looking great. Along with our product line we are able to supply and install stacked stone to give your project that extra special look you've been wanting. So why wait send over your plans, sketches or profiles and I can get you an estimate accurately and promptly. Hacemos todo tipo de trabajos especiales en acero,acero inoxidable,aluminio, madera y cuero. Quality Stone.Large blocks of granite are quarried from deep in the ground or from the side of a mountain. These quarries are located all over the world in countries such as India, Brazil, , Norway, Saudi Arabia and Finland. We import our stone directly from these countries. Dynamite and huge Diamond saws are used to cut the blocks from the quarry Blocks are transported from the quarry to the factory by truck or rail. Some blocks weigh as much as 25 tons! At the processing factories, blocks are cut into slabs in this huge diamond saw, much like a giant bread slicer. It can take an entire day to cut one block. Here is the block cut into slabs. A Block will yield approximately 45 to 50 - 1-1/4" slabs. Each slab is then sanded, polished to bring out its unique color and pattern . Finished slabs are then packaged and shipped in shipping containers by ocean, rail and truck to our warehouse." The Park-Daddy™ is a vehicle parking system for home garages. Using advanced infrared technology, state of the art electronics, advanced optics, coupled with innovative software techniques, the Park-Daddy™ uses the same technology and has the same quality as our commercial systems. The Park-Daddy™ will notify the driver while parking their car in the garage, that they have cleared the garage door opening allowing the maximum amount of space in the front of their car eliminating damaging your vehicle or valuable items stored in your garage. With the Park-Daddy™ system, you can now store items such as bicycles, motorcycles, freezers, lawn mowers, work benches, garbage cans, etc. in your garage and not worry about hitting them. AAA Water Team offers Sales, Service and Repairs on all kinds of Water Systems and Treatments inc. Reverse Osmosis Systems and Well Water Systems. Find lumber and building supplies on Houzz. 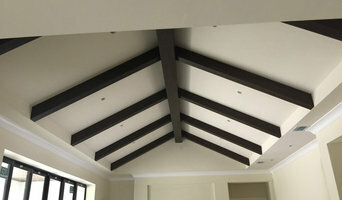 Narrow your search for Naples Park, FL lumber supplies and building supplies by selecting the nearest city or zip code. Find trusted lumber companies and hardware suppliers with reviews from residential builders, interior designers and homeowners.